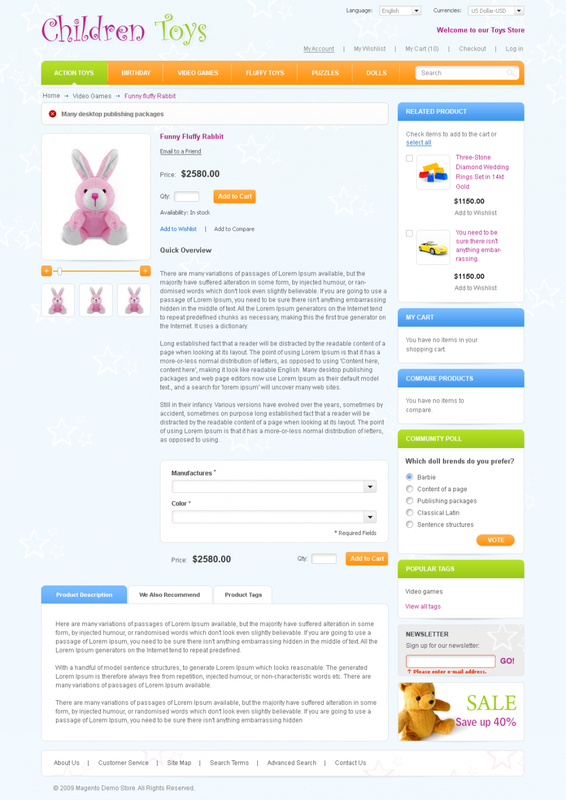 This exclusive theme for shopping carts on Magento ® is unique and has been specially developed for an online children toy store. 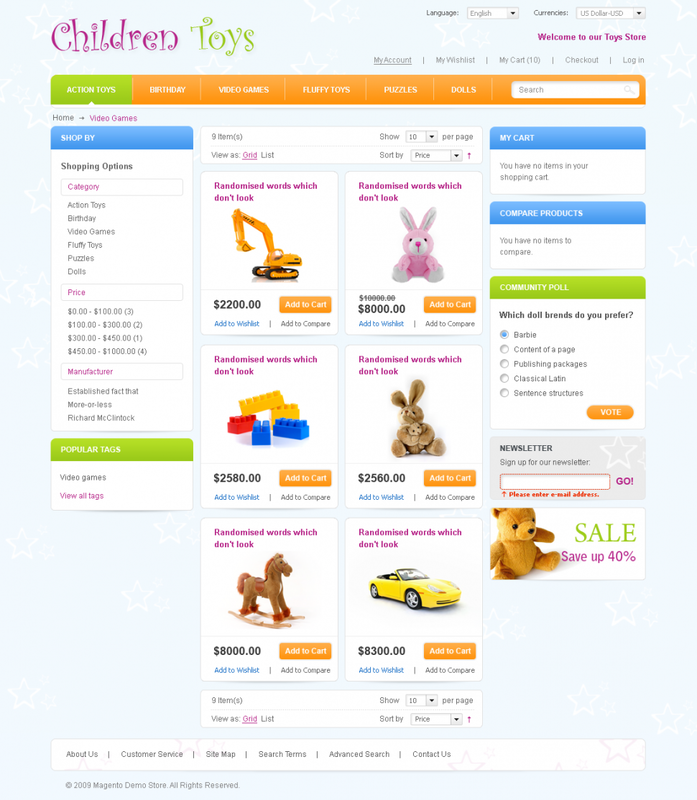 GoMage toy store theme can be implemented in orange, grey and purple colors. Easy navigation of your store shows that you care about your clients and want to make their shopping a really great experience. Advanced search feature saves a lot of time for shoppers as it allows them to find a specific item in a few seconds. There is NO FREE SUPPORT for the theme. 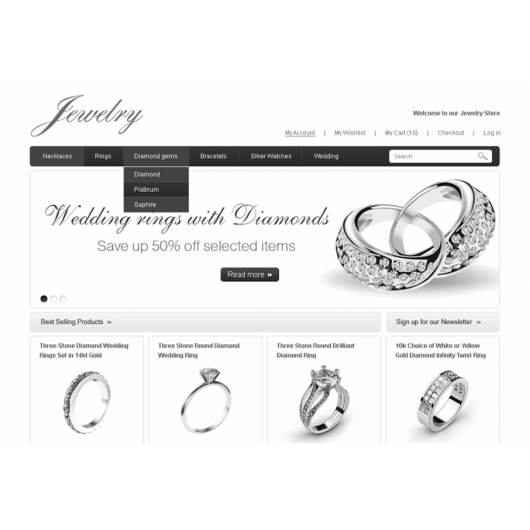 GoMage Jewelry Theme developed by Gomage is a special design solution for a shopping cart of on-line jeweler boutique. 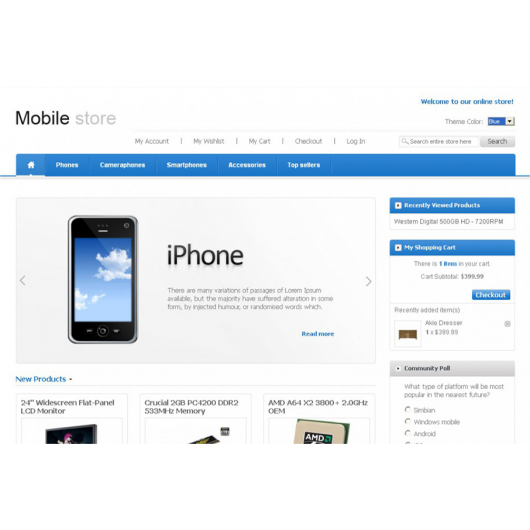 This Magento theme will make your online store stand out. Simple, user friendly and easily customizable it provides your customers with truly enjoyable shopping experience.